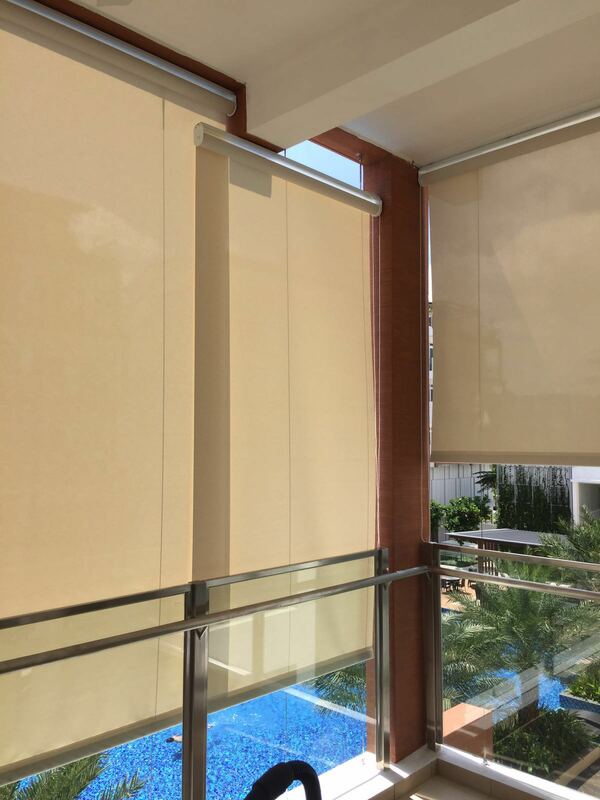 Roller blinds consist of a pulley system which controls the fabric vertically up or down. It can be drawn using a manual cord or via remote home automation, making it extremely easy to use. Roller blinds can be made in blackout or dim out fabrics and installed inside or outside the window frame, or even mounted on the ceiling. One of the biggest benefits is it is easy to maintain as it is simply one sheet of fabric. Roller blinds offer the room a sleek and modern look.